The X-Files is now less than one month away from its return to FOX, and the network is hyping up the revival even more with the released of 20-minute-long behind the scenes featurette that shows David Duchovny, Gillian Anderson, and Chris Carter talking about the revival of the series. Duchovny is not the first character who has made it clear he would be willing to return if another season of the revival was made. A previous TV Series Finale report shared that Mitch Pileggi would bring back Skinner if Carter wanted to continue with more episodes. Check out the new extended behind the scenes video below. Are you ready for the return of The X-Files? Tell us what you think. 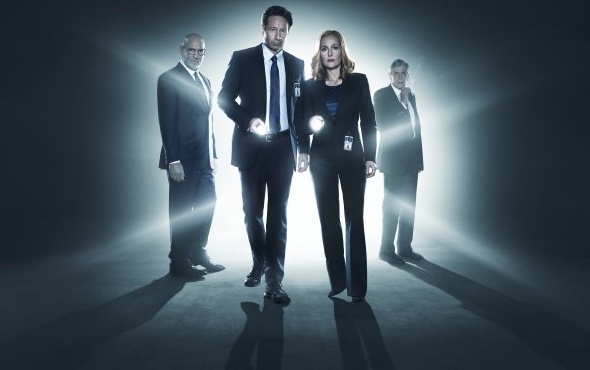 More about: The X-Files, The X-Files: canceled or renewed? The X-Files: Is There a Spin-Off in the Works at FOX? The X-Files: Chris Carter Is Willing To Do More; But What Would He Need? The more X-Files the better. I was there when it began in the 90’s & I’m still a HUGE fan 20+yrs later. Bring it!